The British Standard for Confidential Destruction (BS EN 15713) ensures that all documents are destroyed to the same standard and given the same protection. The standard ensures things such as having security vetted staff to handle the documents, tracked and CCTV covered vans to transport them, and specific sizes of shred to ensure complete destruction. The documents you shred using a service will also have a clear chain of custody that allows you to track exactly who has handled them and where they’ve been right up until they are destroyed. 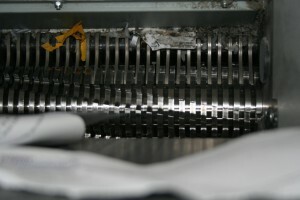 From there, certification of destruction may be given to prove the documents have been destroyed. 2. …Save time, effort and money. Where shredding in-house may involve one or more members of staff taking time out of their regular work to shred the documents, using a shredding service means all you have to do is call up and arrange a collection. 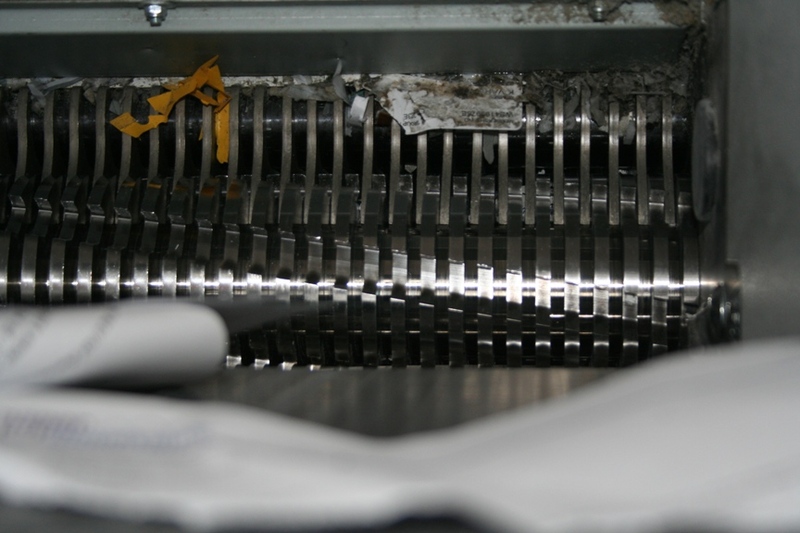 This combined with the fact that small shredders will often only have a limited continuous run time before burning out will save you time and money in the long run. 3. …Maintain confidentiality within the office. The problem with having a member of staff shredding the documents at your office is that they then have access to information that could be sensitive or confidential. This could be anything from payroll information and employee contracts to customer records. The lack of confidentiality could be harmful to your business and the best way to avoid this is to hire someone specifically to destroy your documents for you. 4. …Add to your green credentials. Because a shredding service can prove they recycle all of your destroyed documents, any certification you get from them can go towards your companies green credentials. 5. …Get rid of the Hassle. When you out source your destruction it also means you are outsourcing the disposal of the shredded paper. This means no messy changing of bins or small pieces of paper floating around the office.